Donald Trump says he won't touch Social Security if he becomes president. He wouldn't have to, he believes: His plan to boost economic growth to at least 4% would take care of Social Security's long-term problems. Put aside the fact that most economists think achieving 4% growth -- even for a few years -- is unrealistic. Even if such growth were possible, Trump's plan would only delay Social Security's shortfall, not fix it. Here's where things stand now: Though the Social Security system is not going "bankrupt," it won't have enough money to pay full benefits beginning in 2034, according to the latest Social Security trustees' report. Retirees will get 79% of what's been promised. Funding for Social Security payments come from payroll taxes — employees and employers each pay 6.2% on the first $118,500 income. Most solutions focus on lifting that income cap or raising the age at which retirees start collecting benefits. The Urban Institute looked at whether faster economic growth — 3.4% — could do the trick. Such growth would boost wages and bring more people into the labor force, giving the system a big payroll tax infusion that would keep it solvent for about another three decades. However, all those folks would also be eligible for bigger benefits once they retired, and the system will not be able to afford that bill. The scenario would ultimately only close about one-third of the gap. "It will push out solvency, but not put Social Security on permanently firm financial footing," said Richard Johnson, director of Urban's Program on Retirement Policy. In fact, a shorter economic boost could prove even more harmful to Social Security, said Marc Goldwein, senior vice president for the Committee for a Responsible Federal Budget. That would increase the amount ultimately owed, but the tax revenue bump would peter out beforehand. Trump, like many politicians, has also said he would root out fraud to save money. And while roughly $5 billion in improper Social Security payments are made annually, that accounts for only 3% of the shortfall, Goldwein said. Plus, not all of those payments are fraudulent. Those close to Trump haven't shed any more light on the candidate's plans. In a recent debate, Stephen Moore, one of his economic advisers, refused to answer a question on fixing Social Security, saying Trump hasn't talked a lot about it. Trump's running mate, Mike Pence, said at the vice presidential debate earlier this month: "All Donald Trump and I have said about Social Security is we're going to meet our obligations to our seniors. That's it." Pence has supported privatizing Social Security in the past. 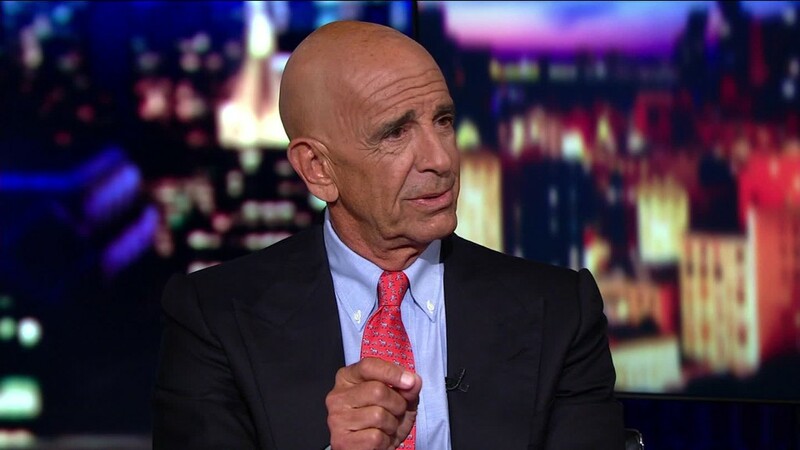 In August, when Trump's friend and adviser Tom Barrack suggested that Trump may ultimately tackle Social Security reform, the campaign told CNNMoney: "'We will not cut Medicare or Social Security benefits, but protect them both." Trump's rival, Hillary Clinton, has some very different ideas for fixing Social Security. But she's hasn't laid out a concrete plan. Clinton has said she wants to provide more generous benefits to caregivers and lower-income widows. She'd pay for it by raising the amount the rich contribute into the system.